This month, after thinking about the possibilities for years, I received my DNA ancestry results from Ancestry.com. It was a much desired Christmas gift that cost about $80 and a month of excitement and anxiety. I began 2018 finally learning about my ancestral heritage, but after the climactic reveal, I was left wanting to know much more. This quest for specific genetic information of myself led me to multiple questions that eventually left some doubt in my initial DNA findings. I now, however, have made sense of the numbers and am confident in stating I am 55 percent European, 21 percent African, 21 percent Native American, and three percent Middle Eastern. I was informed something to that effect with my first results but with such a sensitive and important matter, I needed to find a reliable way to verify the complex information. I wanted to see how accurate these initial numbers were, so I requested a second DNA analysis from another company. I noticed a significant difference in the ethnicity results. I then submitted my raw data file – which can be downloaded after your results are completed – to a third company to find yet another surprisingly slight variation. I decided that I would cross-reference as many results as possible to confidently determine the breakdown of my own ethnicity. I took my raw DNA data file and provided it to three free online sites/tools for their analysis, paid $20 to have my DNA analyzed by one company, bought an online app for $5 for another analysis and requested a free review from another company. In total, I was able to compare eight different sets of my DNA results. I entered the data in a color-coded multi-tabbed spreadsheet and averaged out related results to create one trustworthy master set of scientifically sound data that I could fully own and faithfully believe and pronounce. For this research, I compared my DNA analysis data from the following companies: Ancestry.com, FamilyTreeDNA, My Heritage, DNA.land, GenCove, WeGene, GenePlaza.com, and GEDmatch.com. After several hours of crunching numbers and analyzing patterns I have determined, with overlapping evidence, that I am 25 percent Spanish (numbers were in the 22-30 percent range but averaged out at 25.) I learned that my Africanness mainly originates from Nigeria/West Africa, my Taino indigenous blood can be traced to the Mayan and Amazonian people of South America, and I was surprised to find out that I am about three percent Ashkenazi European Jewish. DNA ancestral testing is very popular right now and as the cost of tests become more affordable, DNA testing will become even more widely accessible. I think everyone should have his/her DNA tested. I now have a broader world perspective of who I am and where my ancestors came from. I look forward to learning more about my diverse historical ethnic background and making meaningful connections with my ancestors. 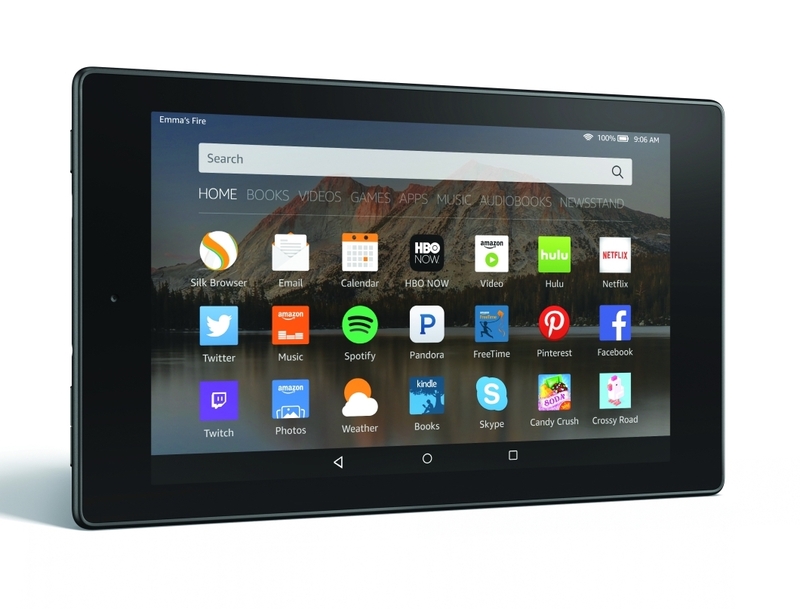 The Amazon Fire HD 8 Tablet. Back in 2012, I purchased the first generation version of Amazon’s Kindle Fire. It worked for me for years, until it was destroyed in a car accident this past summer. I generally use a tablet to read books, briefly catch up on current events, and check social media. After not having a tablet for a few months, I realized I missed having one so I once again went shopping for a new tablet. Again, I chose the inexpensive and reliable Fire tablet from Amazon. It is lightweight, sturdy, and functional for my needs. The battery life is incredible and it has a microSD slot for additional storage. It’s a great cheap tablet that performs well and I would recommend it to anyone who is looking for a tablet and does not want to pay several hundred dollars for an iPad. However, there is a bit of bad news. The camera is terrible. The quality is so bad that I wonder why it was added to begin with. Another big problem is that Amazon does not make it clear that the Fire tablet comes with ads. The lock screen continuously flashes annoying Amazon advertisements. To remove the ads you have to pay Amazon an additional $15. Amazon should just add this fee to the initial price of the tablet. Aside from the camera and unwanted ads, I am very happy thus far with my new tablet. I think you will be as well. I have been working for a small information technology company for a little over a year now and have gained immense appreciation for professionals in the field of providing computer network support to small and mid-size businesses. In order to get work done, you need a highly functional computer network, access to a high-speed Internet connection, and a computer with a speedy processor and great memory. Sometimes businesses take these basic technological necessities for granted or do not understand what’s required to keep a business computer system running well. DataVelocity, an IT company formed in 2002 by Melissa Minchala and Adam Warshaw, makes sure your technology provides the best return on investment possible. Serving companies in New York City, DataVelocity’s reliable IT management services and computer network maintenance solutions help small to mid-size companies streamline business functions and increase productivity through the technology used every day. The co-founders of DataVelocity and their talented staff form a team of technologists whose goal is to create long term relationships and raving fans by delivering dynamic IT services and stellar support to help protect and grow their clients’ companies. DataVelocity assists NYC-based businesses by being a managed services provider (MSP) that understands an organization’s need to balance an IT budget and simultaneously possess an optimal computer network. Businesses today need to make a decision as to whether or not to staff internal IT professionals or outsource the expertise to knowledgeable IT firms. Some companies may have the budget to do both, however there a few benefits to hiring a managed services provider like DataVelocity. 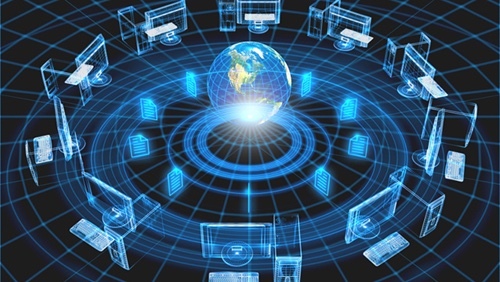 The single most important tactical reason for outsourcing IT management is to reduce and control operating costs. Hiring an external IT partner can help a company’s bottom line by alleviating human resources expenses. MSPs are also experts in security, business continuity, and disaster recovery so business owners can have peace of mind knowing they have access to up-to-date technological experience. 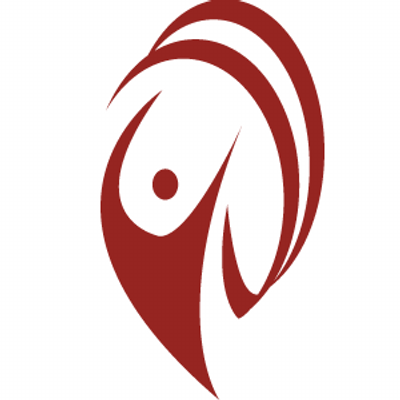 DataVelocity is an IT partner that works with business owners to establish strategic tech goals. With scalable and flexible services that are based on flat monthly fees, small to mid-sized business owners in New York City will always know what their monthly bill will be, and never have to worry about another tech-related issue again. 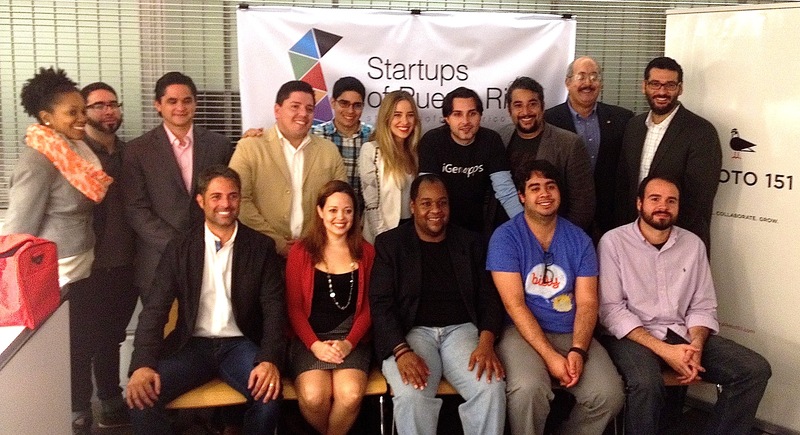 Did you know there’s a community of startup companies in Puerto Rico? If not, well there is and the community has been flourishing for years. A group called Fans & Friends of Startups of Puerto Rico formed in New York City on August 15, 2013. The New York City-based group, founded by Carmen Bonilla, aims to strengthen ties between the Puerto Rican startup community on the island and the startup community in New York City in order to promote Puerto Rico as a technology hub. According to Mashable, a startup is a company set up to test a business model developed around a new idea. The startup community in Puerto Rico sprang up partly in response to the island’s economic difficulties, according to Bonilla. Fans & Friends of Startups of Puerto Rico will provide programs and networking to its members and aim to grow the pipeline of aspiring entrepreneurs and the number of startups both in Puerto Rico and in NYC. The community of Puerto Rican descent in New York is the largest in the US, creating a great opportunity for our communities to come together, bridge the gap, and help one another. Are you interested in technology? Are you interested in doing what you can to help the economy of Puerto Rico? 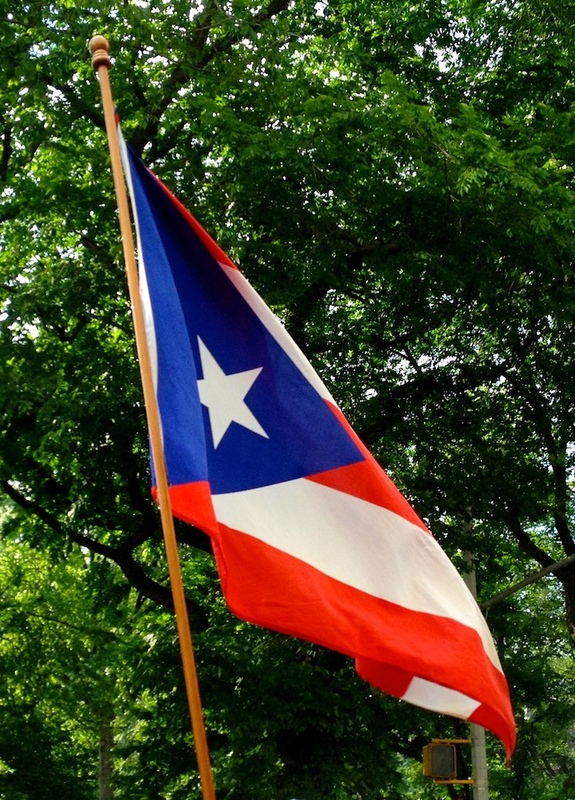 Are you involved in startups in New York or Puerto Rico? Then become a member of Fans & Friends of Startups of Puerto Rico by joining their Meetup group now! I use a Mac and an iPhone and recently set up Wi-Fi at home, mainly because I had been thinking about getting a tablet. I of course had been thinking of an iPad for some time, but price had been a big factor in my holding off the decision to buy my first tablet. My Macbook Pro and iPhone 4S keep me well connected and I paid a lot for them, so I thought I’d hold out on an iPad until the price went down to about the $299 range. While doing research on tablets, the first thing I learned was to decide if I really wanted one and where would I mostly use it. I would mainly use it reading on the bus or subway or while I’m home. I just got Wi-Fi at home so I thought, why not? I basically wanted a larger version of my phone to read in bed. 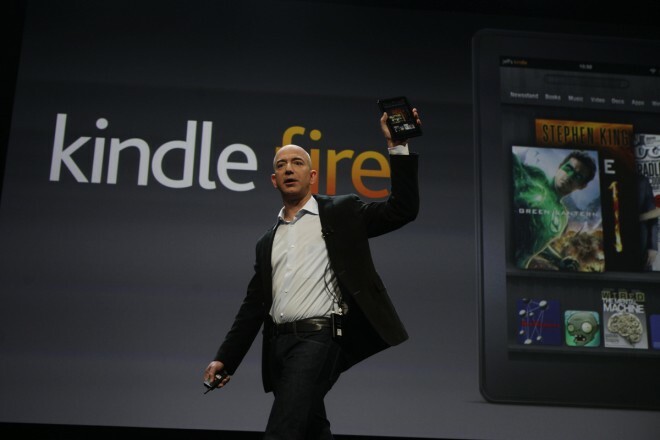 I was immediately impressed with Amazon’s Kindle Fire. At $200 I’d get all I need. I live off my laptop at home and my phone keeps me connected all day. Then I noticed the Barnes & Nobel Nook and it was a tough decision. I went with the Kindle vs. the Nook because I had already been an Amazon customer and it offered more books, apps, and overall entertainment to download. I’ve been using it for two weeks now and I’m happy with the purchase. The weight of the Kindle was the first thing that got my attention. I thought it would weigh less and be quite flimsy. But it was sturdy and the quality of the glass was just as good as Apple’s. The size was pretty perfect. I could comfortably hold it with one hand. The Internet experience was fine, the sound and brightness sufficient, and the apps were cool enough. Of course, you get what you pay for. Apple’s out of this world when it comes to quality electronic products and the future of technology in general, but Amazon has a really hot item on its hands with the Kindle Fire. Recent news shows that Amazon is making some good money off a tablet that some say is really an e-reader with Internet access. If Apple makes a mini-iPad, as rumors have it, and sells it for a starting price of $299, it might even do more phenomenally in the tablet wars. After ordering my first Kindle, I did get to hold and use a Samsung Galaxy Tab and I would have gone with that if I wanted something in between the technology and price of the Kindle Fire and the New iPad. If you’re loving your iPad, Kindle, Nook, Galaxy Tab or whatever, feel free to comment below. If you’re thinking about getting a tablet, do your research, decide what you’re going to use it for, and how much you’re willing to pay for it. I’m really digging the Kindle Fire but think eventually I’ll own an iPad. However, kudos to the Kindle for now. But then again, you never really know how big this tablet thing might get. Target and Walmart are probably thinking of making their own, who knows? My contract with AT&T was up in mid September, but I held off on making any major decision on switching carriers until I purchased the new iPhone 4S. As my previous posts show, I was seriously considering switching to Sprint mainly for it’s unlimited data plan, however that all changed once the carrier began selling the iPhone 4S. As soon as the phone became available, Sprint customers complained about the slow speed of the iPhone on its network, and social media blogs and news sites also covered the slow data drama. At the same time, all carriers were out of the hottest smart phone so I had to wait anyway. This waiting game caused me to closely consider two options: unlimited data on a slow network, or fast data on a limited data network? 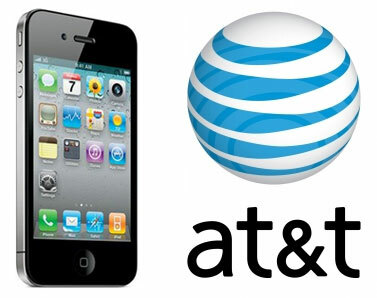 In the end, I decided to stick with AT&T because news reports showed that AT&T had the fastest network for the iPhone 4S. I now have to stick with AT&T for another two years, but as long as its data speeds outshine Verizon and Sprint, I’ll be happy. Did you get the new iPhone 4S? And if so, what has your network experience been so far?